National Changgeuk Company of Korea (국립창극단), a leading resident company of the National Theatre of Korea (국립극장), will perform Trojan Women, directly by Ong Keng Sen, Singaporean director. A 20% discount on tickets available for BKS members. Subject to availability. 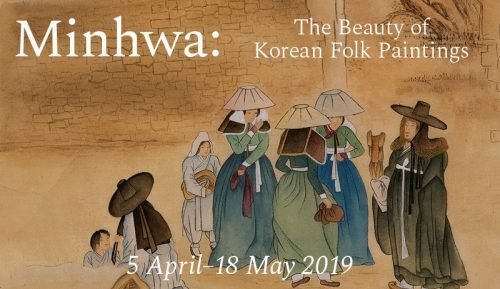 Please e-mail info@britishkoreansociety.org.uk to obtain the discount code before booking via LiFT. Trojan Women fuses modern music and Pansori, the 400-year-old Korean genre of storytelling, with classic Greek tragedy. Ong Keng Sen’s epic paints the parallels between the trauma and wrath faced by the Trojan women and the pain Korean women have lived with through across decades of war and division. Through the waves of the pansori music, the women make this story their own, celebrating the importance of female solidarity in the face of adversity through music and movement. Composed by the acclaimed pansori master Ahn Sook-sun, in collaboration with Jung Jae-iI, a producer at the forefront of the K-pop scene, Trojan Women features a cast of 25 singers, actors and musicians melding ancient and modern art forms. The production took Seoul by storm when it premiered in 2016 and enjoyed a sell-out run at the Singapore International Festival of Arts last year.